← #Manchester Council to spend up to £30k on Green Strategy that in-house bureaucrats were supposed to do. #Manchester Council #climate boss promises quarterly progress reports. Doesn’t deliver. In February, Kate Chappell, the politician in charge of climate change for Manchester, announced quarterly progress reports would be prepared and released. Six months later, no reports. And the first progress report will be – if officers get their way – merely an annual one, in February 2015. This below is from the comically brief report that the committee members have been sent. Things may change, however. At the Neighbourhoods Scrutiny Committee meeting in July 2013, two councillors – Kevin Peel (City Centre) and Fran Shone (Northenden) – were vocal in calling for quarterly reports. They were fobbed off. A year on, and it is clear the Council only came anywhere near its carbon reduction target because of a very mild winter (and therefore lower heating bills in its buildings) and the fact that it has sold off more buildings. 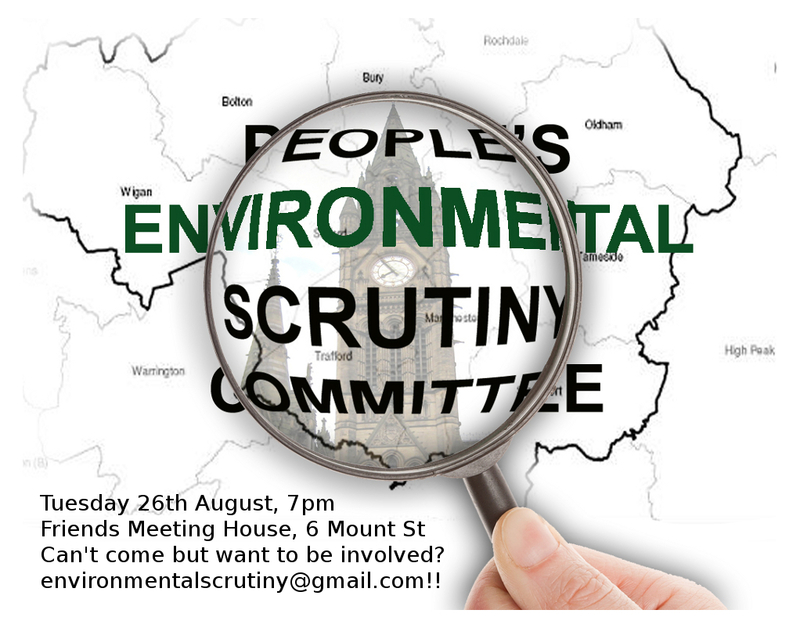 Councillors Peel and Shone are still on the Neighbourhoods Scrutiny Committee, and when the committee meets on Tuesday 26th August, they may call again for quarterly reports, (especially when they see that the Executive Member for the Environment had publicly assured members of the public that these would happen). And they may be joined by other members of the committee. Watch this space. Btw- Readers of MCFly will recall that this is not the first assurance from Councillor Chappell – currently on maternity leave – that turned out not to be worth the pixels it was communicated on. She also repeatedly promised to set up a blog, before abandoning the promise without bothering to give any explanation. Credibility is a non-renewable resource. If this makes you angry – and it should – please think about getting involved in the People’s Environmental Scrutiny Committee. It has monthly meetings (the next one is on Tuesday 26th August, 7pm at the Friends Meeting House; the following one is on Monday 22nd September, from 7pm, at the Moss Side Community Allotment, Bowes St. But besides meetings (which many people hate!) there are plenty of other things to do. Please check out the regularly updated jobs list. This entry was posted in Climate Change Action Plan, Democratic deficit, Manchester City Council. Bookmark the permalink.